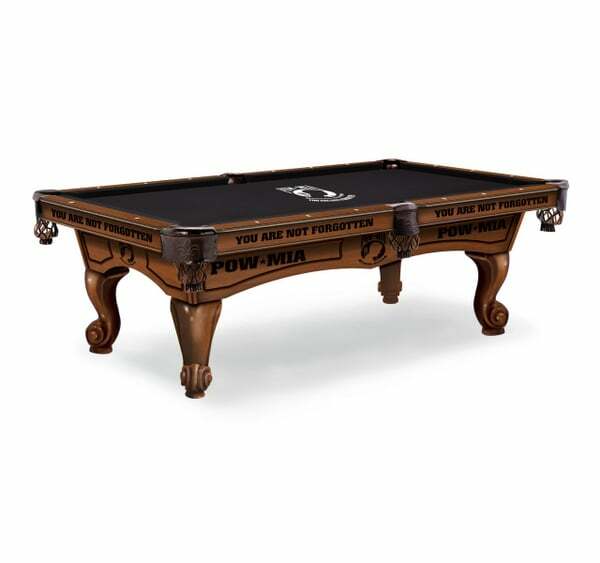 The POW MIA Pool Table by Holland Bar Stool Company is made to honor the service men and women who have been POWs and MIA. 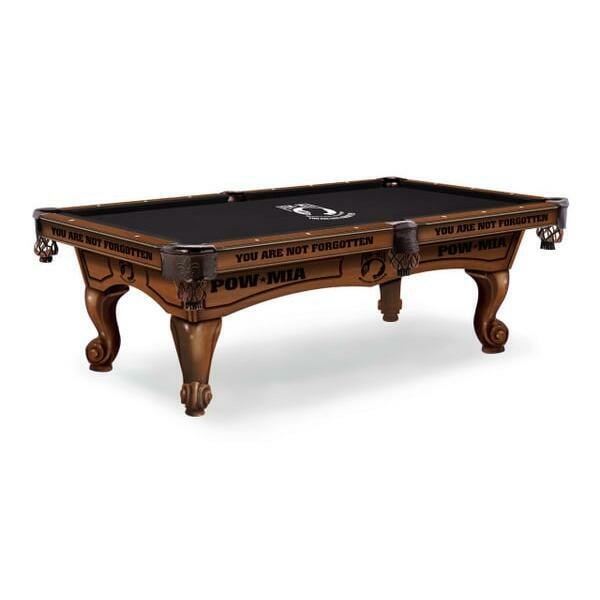 The table is decorated with laser engraved graphics, and the sides of the cabinet read, “You are not forgotten.” The POW MIA Table an 8 foot solid hardwood table. The slate is thick and supported by two center beams. The cushions are made with high quality natural K-66 gum rubber for the ideal bounce. 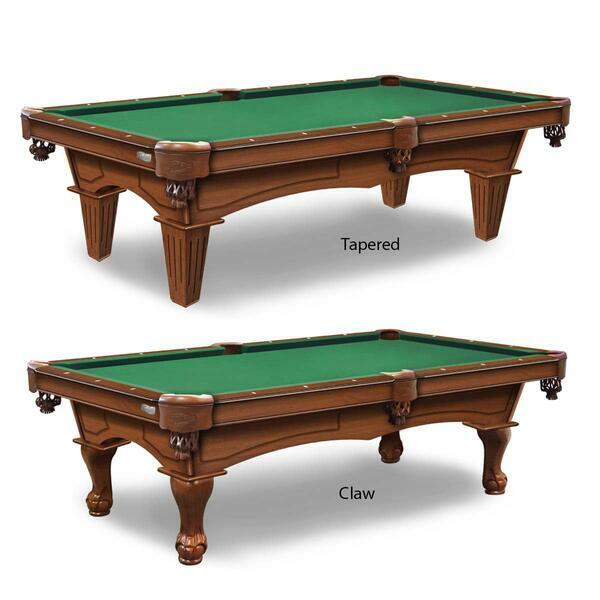 The table comes with a green cloth, but there is an option to upgrade to a custom cloth with a unique desgn, as shown in the photograph. The leg style is also customizable by you. There is a traditional claw and tapered options available. The table comes with two possible finishes, including the featured Chardonnay finish, and Navajo.